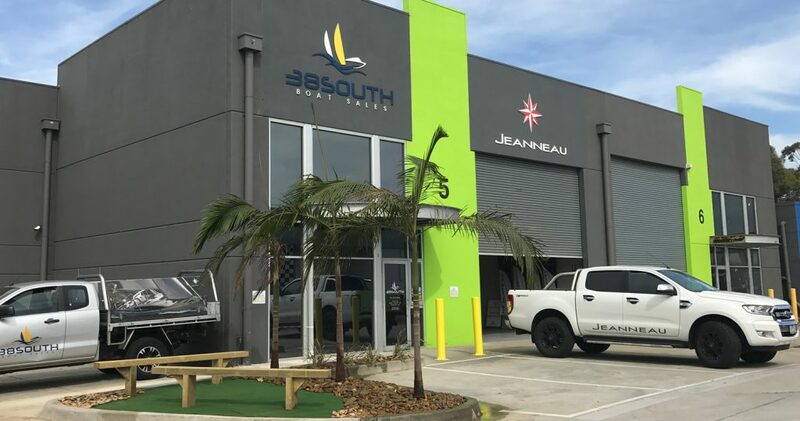 38 South Boat Sales is without doubt the best destination in Melbourne, Adelaide, the Gippsland Lakes and now the Riverland for the largest range of new yachts and power boats from two of the largest boat manufacturers in the world – Jeanneau and Glastron. However we are also the clear market leaders in second hand yacht sales for not only Jeanneau, but also brands such as Dufour, Elan, Catalina, Beneteau, Hanse and Bavaria, plus we always have a variety of inboard and outboard power/fishing boats for sale from brands such as Riviera, Prestige, Haines Hunter, Streaker, Wellcraft, Bayliner, Searay, Mustang and Four Winns. Originally starting out as VicSail Melbourne, the business is one of the longest established yacht and power boat brokers in Australia. However around 2012, the name was changed to 38 South Boat Sales which is more reflective of the latitude that is synonymous with the heart of boating in Victoria and was also taken over by former multiple Moth World Champion and twice ISAF World Sailor of the Year finalist Rohan Veal. Since then the business has grown substantially with four offices covering marinas such as Sandringham, Williamstown, Martha Cove, Blairgowrie, Patterson Lakes, St Kilda, Brighton, Paynesville, Metung and North Haven. We also have well over 200 years of combined staff boating experience which includes over 5 x World Titles, 15 x National Titles, and 20 x Sydney to Hobarts races. Feel free to ask around and you will quickly find that this level of service, experience and qualifications is unprecedented in Victoria and South Australia. We are also members of the BIA (Victoria) and are one of the few boat brokers in Melbourne that have a Second Hand Dealers licence. We are also very environmentally conscious, with our Chelsea Heights office fitted with a 6Kw optimised solar panel system leaving an almost neutral CO2 footprint, we pay to recycle all of our plastic, paper and packaging materials, as well as collecting aluminum cans and donating them to help raise money for kids with cancer. Even though most of our staff live within 5 minutes from their respective office to minimise travel time and ride to work when possible, one of our staff also rides his bike two hours to work when the weather is suitable. Furthermore, we recently updated our primary tow vehicle to the new 10 speed bi-turbo Ford Ranger, as it has excellent fuel economy and low CO2 emissions. We know boats, we own boats, we race boats and we only offer honest advice to customers and boat owners.